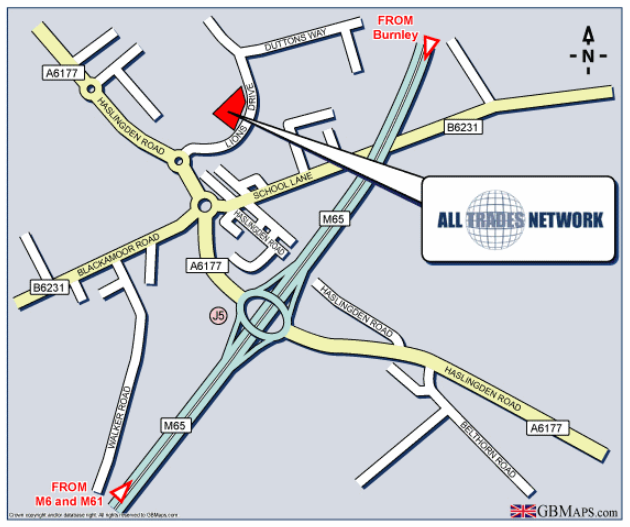 We are situated just off J5 of the M65. Exit the M65 and take the A6177 (Haslingden Road) towards Blackburn. After 200 yards, take the second exit at the roundabout and continue along Haslingden Road until you reach the next roundabout. Take the third exit at this roundabout into Lions Drive. We are located on the left hand side after approximately 200 yards. Blackburn Railway Station is 1.4 miles from our office.